Day 2 of Event #74: Big Blind Antes $10,000 No-Limit Hold'em 6-Handed Championship started with 115 players who bagged on Day 1 and there were 27 new entries, since registration was still open until the start of play today. That brought the total amount of entries go up to 355 with 54 spots paid and a top prize of $814,179, in addition to the prestigious gold bracelet. 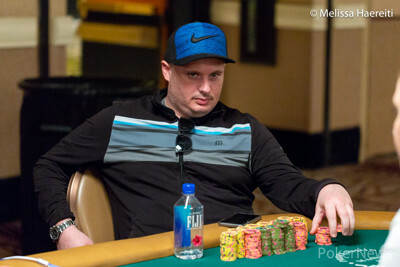 Paul Volpe has the chip lead, bagging 2,190,000 at the end of the night. He’s closely followed by Martin Zamani with a stack of 1,944,000 and Shaun Deeb who finished play with 1,610,000. The day started off quick with a lot of bust outs. A couple of the new entrants that decided to give it a go were busted before the second level of the day. Fedor Holz and James Obst both entered for a last shot at a $10,000 championship title and a bracelet, but both were unable to survive the first level. Another of the late arrivals who fared much better was Martin Zamani, who ended up bagging the second biggest chip stack behind Volpe. Others that didn’t make it to the money include Daniel Negreanu, Liv Boeree, Ivan Luca, Erik Seidel, Stephen Chidwick and Sam Soverel. Players that did end up making the money but didn’t make it through to Day 3 include Jeff Gross (50th - $14,916), Jason Koon (49th - $14,916), Ryan Riess (42nd - $16,911), Martin Jacobson (39th - $16,911), Michael Gathy (34th - $18,982) and Dominik Nitsche (20th - $26,424). Dan Smith almost made it through to Day 3, but in the final hand of the day, he busted against Romain Lewis to finish in 19th place for $26,424. Jordan Cristos also busted in the final hand of the day against Deeb after losing everything but 2,000 to Sam Greenwood, with Cristos taking home $32,700 for 18th place. Deeb is at this moment in second place in the WSOP Player of the Year race and made Day 3 with 1,610,000 chips after having a good ending to his day by winning a flip with sevens against ace-king. 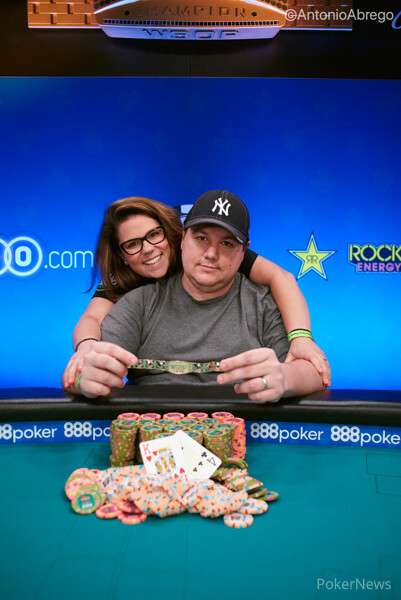 The US player already secured some points for the leaderboard but is also looking to add another WSOP bracelet to his collection after winning the $25,000 Pot-Limit Omaha earlier this summer. Day 3 will start at 2pm with 17 players remaining and blinds/ante recommencing at 10,000/20,000	with the ante of 20,000. PokerNews will be there from the start until we crown another WSOP bracelet winner.